Every important city has got its own Biennale and Florence, one of the world most famous art cities, could not have missed it. From 5 to 13 December 2009 the seventh edition of the Florence Biennale will take place in the amazing location of Fortezza da Basso, closed to Santa Maria Novella train station and city centre. This is a special edition with many participating artists. Marina Abramovic and Shu Yong are going to meet visitors inside a rich calendar of conferences and side events. On monday 7 december Marina Abramovic will present her selected works in a public talk at Fortezza da Basso (h 5:30 pm), receiving Lorenzo Il Magnifico Prize. Her video will be visible for the entire duration of Florence Biennale. 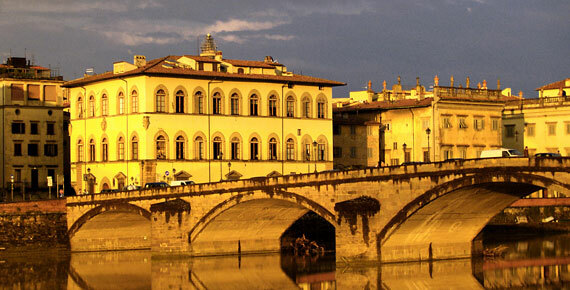 Florence Biennale is the official partner of the United Nations program called “Dialogue between Civilizations“. Florence Biennale is participating in the dialogue with its artists from all over the world coming to Florence to discuss their works and express their visions in a peaceful and multicultural mood. Don’t mis the opportunity to visit Reinassance and contemporary Florence. It’s amazing how this city can provide places, opportunities and events in these recent times. Copyright © 2019 I toscana. All rights reserved. | Cookies | Privacy | 01395270513.